If you are a person on a professional crossroad or on the verge of changing the professional field, it is highly possible that you have come across job offers talking about a “scrum master”. 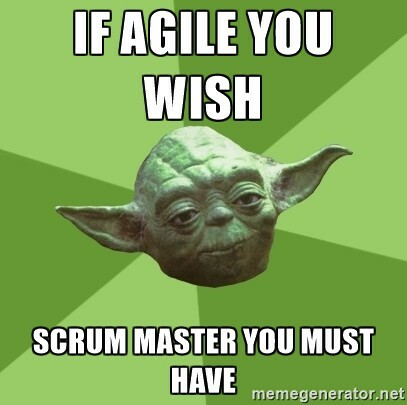 In this article I will try to outline some of the key skills of to be a successful Scrum Master. At first sight, the description of the position may sound vague or too simple and may leave the impression that everybody can be a scrum master. If we go a bit deeper into the job definition, we might find out that there are very specific skills required to be successful at this position. Where does the term “Scrum” come from? To understand what a scrum master is, it is interesting to go into the morphology of the term. “Scrum” was taken from rugby where opposing teams huddle together during a scrum to restart a game after a minor infringement. In short, each team’s forward pack bind together and restart the game. The scrum analogy was first applied to manufacturing in a paper by Harvard Business School professor Hirotaka Takeuchi and another Japanese professor Ikujjiro Nonaka. However, the term is also often used in agile software development and other types of project management. Similar to rugby, in product development, team members huddle together usually each morning, for a stand-up meeting where they review progress and restart the project. Those meetings, often called “scrums”, are facilitated by the scrum master who is responsible for keeping track of and navigating the project progress and for helping the team members overcome any current or possibly future impediments. One of the main tasks of the scrum master is to help the team to reach consensus for what can be achieved during a specific period of time (often called sprint). One thing is to be aware what should be accomplished, another and a very valuable thing is to be able to correctly assess what amount of work can be managed within a given period of time. After helping the team reach consensus between different ideas and proposals, the scrum master has the important task to ensure that the team stays focused and follows the agreed-upon ruled and goals. This includes also dealing with and removing any possible obstacles and outside distractions. Some of the most memorable adjectives that imprinted in our mind when thinking of “scrum master” term are “real-time”, “decision-making”, “well-trained”, “specialized”, “self-managing”. The scrum master should possess all of these skills and to be prepared and open-minded to quickly adopt new ones. Regarding the working process, the scrum master is the one who helps the definition and the prioritization of the tasks and also helps for the identification and evaluation of potential project risks. This person should always be available to provide and receive constructive criticism and ideas for improvement. Regarding the project outcome, the scrum master should help the team define and recognize when it is over or completed. The regular and productive communication between the scrum master, the stakeholders and the project owner is also a key responsibility for this position. Scrum Master or Project Manager? someone who manages the project and the team and is the person accountable to the business for accomplishing the project objectives. The scrum master is more of a coach and facilitator, a role that is between the project and the customer. In our professional life so far, we have communicated with a lot of scrum masters. After we got more acquainted with their work and personality, we would say that their responsibilities are quite important for the normal workflow and work environment. To be a successful Scrum master you should be patient, logically thinking and farseeing person. We would advise anyone with the ambition to become a successful scrum master to start working on his/her soft skills because this is not just another desk job in which we partner with a machine but rather one requiring face-to-face communication and the best of our soft skills.